Education on current issues, including policy development, in dental/oral care, integration of oral health into primary care and the needs of the intellectually developmentally disabled and the elderly. After graduating from dental school and a two-year tour in the U.S. Navy, Dr. Dillenberg spent two years as the staff dentist at the Southbury Training School – a residential facility for severely developmentally disabled individuals in Connecticut. This was a life-changing experience in many ways and emphasized the critical oral health needs of this special population. After two years, Dr. Dillenberg relocated to Negril, Jamaica West Indies where he worked for the Jamaican Ministry of Health in a Health Clinic in Green Island, a small fishing village on the west side of the island. Living and working in rural Jamaica was an incredible and enjoyable experience. Realizing he wanted to steer rather than row the boat, Dr. Dillenberg decided to pursuit a Masters of Public Health degree from Harvard and subsequently joined its Dental School faculty in Public Health. Simultaneously, he worked as a Public Health Specialist for the World Bank travelling to Calcutta, India twice a year for six years. Dr. Dillenberg relocated to Phoenix, AZ and began his journey in the Arizona Department of Health Services initially as Chief of the Office of Oral Health and ultimately as its Director for over four years. He then moved to California and worked in LA County as a Public Health Area Director. 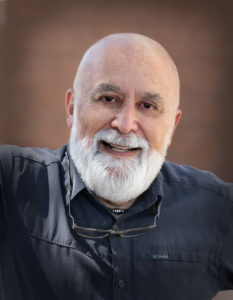 Four years later, Dr. Dillenberg returned to Arizona where he helped formulate the unique vision and mission of Arizona’s first dental school, the A.T. Still University, Arizona School of Dentistry & Oral Health. He was selected as its Inaugural Dean and recently retired after fifteen years and was awarded the status of Dean Emeritus. After meetings between ATSU leadership and leadership of the National Association of Community Health Centers, discussion of the needs of community health centers proved a compelling need to fill vacant positions in CHC (Community Health Centers) throughout the US. The leaders determined that it wasn’t low salaries at CHC’s that hindered the filling of these positions, but rather a need to create a cadre of dentists willing to work in clinics for underserved populations. Many dentists who work in private practice simply are not interested in working with poor people. The leadership team, along with Dr. Jack Dillenberg, worked together to create a model for a school that would train future dentists and community leaders. The guiding principle of a future dental school needed to be the selection of individuals with extensive community service thus creating graduates with the propensity to work with the underserved communities throughout the US. In order to achieve this, the traditional dental school curriculum and experience had to be changed. For example, to develop these future leaders in communities, a number of community dentistry experiences had to be integrated into the curriculum. This required extensive remodeling of the basic science curriculum. The team chose to develop a module curriculum based on human health systems rather than on the traditional basic science systems. Module systems include reproductive health, cardiovascular health, and neurological health rather than classes in physiology, biochemistry and anatomy. Integrating the curriculum into weekly and biweekly modules with learning and testing on each module creates a comprehensive model allowing students to be prepared for taking the National Boards Part 1 after their first year of dental school. This frees up significant time for additional pre-dental education and dentistry in community activities. In 2001, Dr. Jack Dillenberg was hired and the accreditation process began by convening a blue ribbon panel. After a discussion Dr. Dillenberg was asked to convene the blue ribbon panel and direct national dental and education experts to develop an innovative model to meet these needs. The first ASDOH class started at the new campus in Mesa, Arizona in 2003.